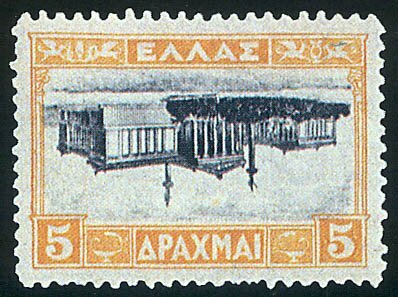 5dr.1927 Landscapes with INVERTED CENTER, u/m. Sign.N.VASDEKIS (Vl.430b, Her.407c). Unpriced in both catalogues. This GREAT RARITY was offerered for sale by Public Auction for the FIRST TIME WORLDWIDE!